William Morrow Cookbooks, 9780062427106, 320pp. WILL HOROWITZ is the executive chef and owner of Ducks Eatery and Harry & Ida’s Meat and Supply Co. in New York City. 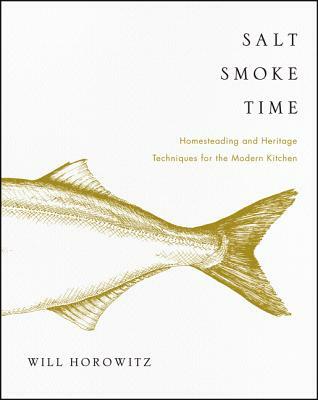 He has become a pioneer in smoked, pickled, and preserved foods, with a focus on developing more sustainable food systems through the study of food history and nature. He works closely with chefs around the world, leading the way in culinary innovation for sustainably farming seaweeds and reducing food waste. His New York culinary heritage has deep roots beginning with his grandparents: a classically trained chef and fisherman of Long Island’s North Fork on one side, owners of a traditional Jewish delicatessen in Harlem on the other side. Will attended Naropa University in Boulder, Colorado, for Tibetan Buddhism and eco-sustainability, studying wilderness survival under Richard Dart, herbalism under Brigitte Mars, and Tibetan Buddhism under Reginald “Reggie” Ray. He began pursuing his professional cooking career at the Culinary School of the Rockies and Johnson & Wales University in 2004. In 2012, Will and his sister, Julie Horowitz, opened Ducks Eatery. In 2015, they opened a vintage-inspired delicatessen and provisions shop called Harry & Ida’s Meat and Supply Co. A big believer of using the local terroir as inspiration, he is an avid forager, fisherman, and naturalist. He lives in New York City.